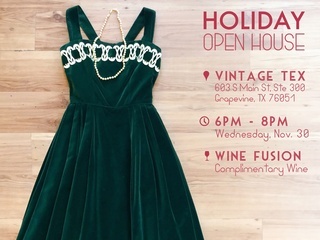 Thank you so much to Culture Map Dallas for featuring our Holiday Open House on their website! It was a fun night filled with some beautiful vintage pieces and a complimentary wine tasting provided by our friends at Wine Fusion and we hope everyone who joined us enjoyed the evening! You can view the post from Culture Map Dallas here.